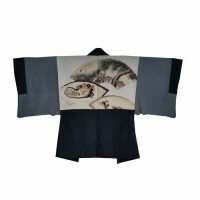 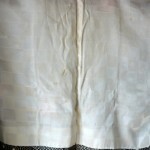 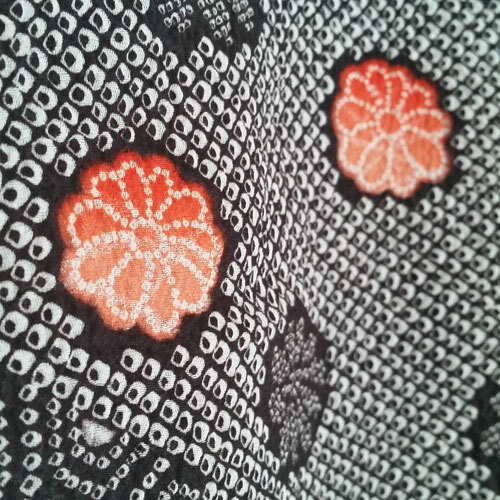 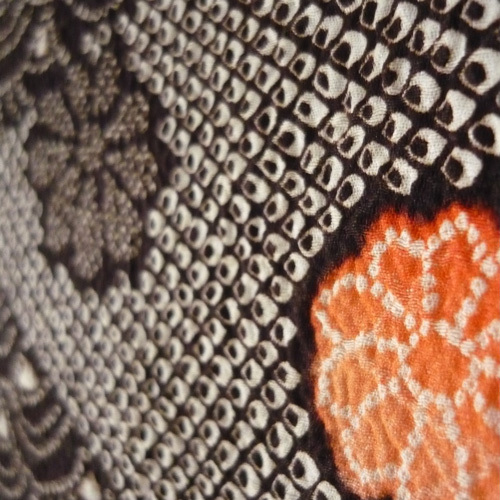 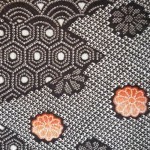 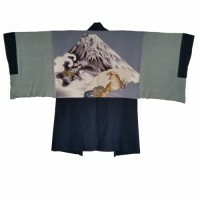 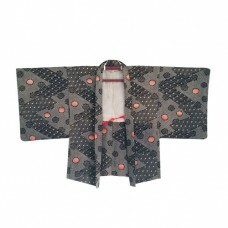 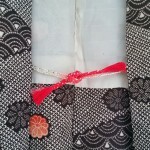 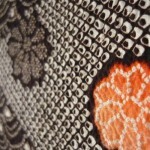 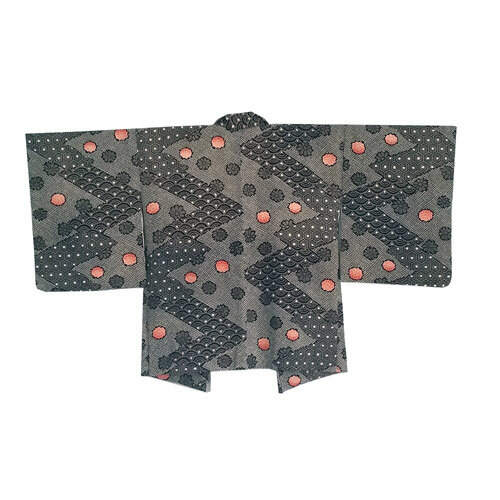 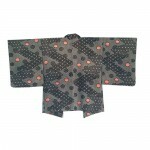 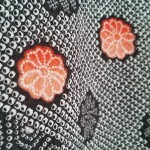 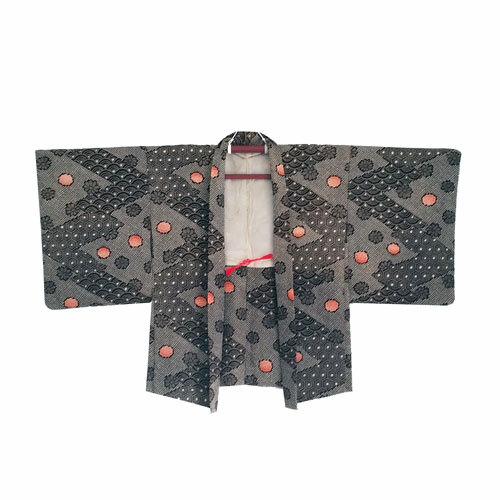 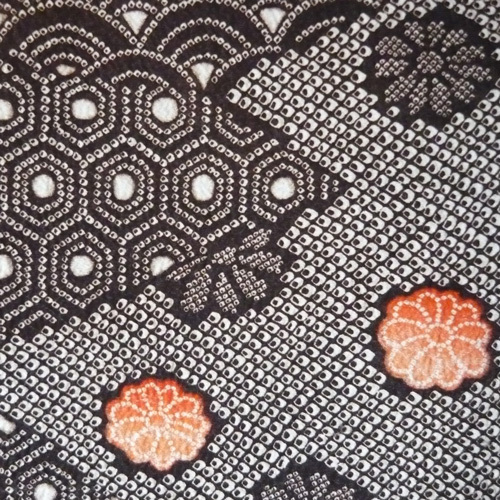 Vintage Japanese haori kimono jacket in black and white shibori print and kiku flowers. 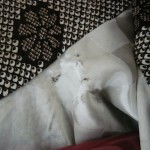 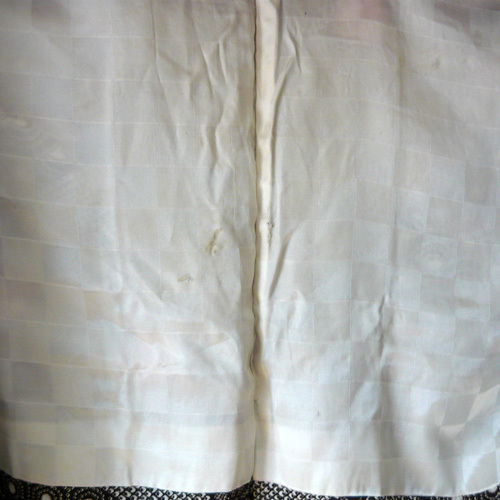 The white lining is damaged (see pictures). 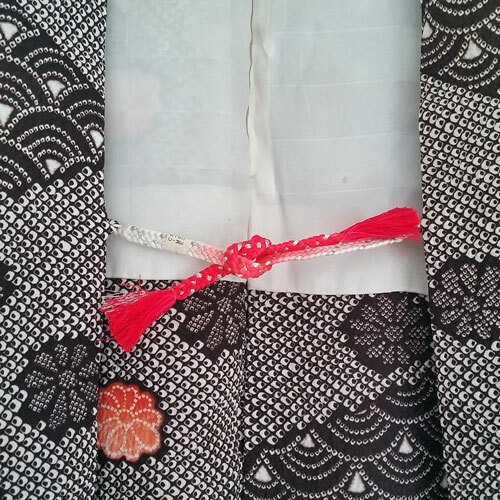 With matching himo. 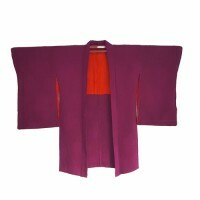 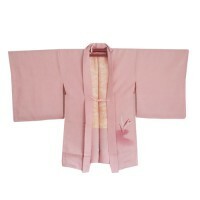 Dimensions: 73 cm long and 128 cm from sleeve to sleeve.